ExchangePoint is a leading global ICT solutions provider, proficient in consulting, information technology, and outsourcing and next-generation services. By providing quality standards based technology solutions to a wide range of sectors and through our dedication to customer-centric innovation and strong partnerships, we enable our clients to outperform the competition and stay ahead of the innovation curve. Our business combines our information technology products with consulting services to meet your goals. Our dedicated teams of professional engineers will design and integrate your solution to the highest standards. Experienced on-site project managers ensure the highest quality of work and services is delivered on schedule and to budget. End to end. We work alongside you right from concept stage through to design, installation and integration. We ensure that you maximize the full potential of our resources and that of our partners at every stage. We deliver on global standard installations based on the quality of our products and our people, as we offer the perfect confluence of international expertise and local knowledge in this market. At ExchangePoint, we define human progress by innovations that enrich humanity. We do not view connectivity as a privilege, but a necessity. We believe that the impact of information and communications technology should be measured by how many people can benefit from it. Experience, Hard work, Etiquette and Dedication, these are not just words for the ExchangePoint team but our Job Description. We at ExchangePoint provide services that enable our clients harness the power of Information. We deliver solutions not just infrastructure and technology. Our end-to-end business model means that you will have our expertise at your disposal right from concept to design through to integration and support. Our model delivers the most cost effective solutions possible. 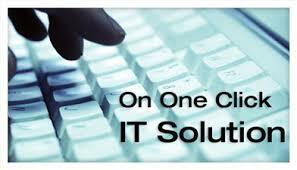 We strive to deliver wherever possible the best IT solutions. We constantly develop and invest in in-house expertise and our design teams and engineers are highly qualified to ensure that we are at the cutting edge of technology. Our clients receive the full benefit of this approach. Intellectual and technological development is at the core of how we operate. The most important thing that we do is listen. We listen to our client’s needs and requirements then design and deliver the right solutions. Our values and business ethos is based on integrity, and transparency. Our hard won credibility relies on this. At ExchangePoint some of the brightest minds in the business will be at your disposal. We bring you tomorrow’s technology, today. At the forefront of new developments in digital technology, we navigate the field with ease to bring you the best and most effective solutions for your business.